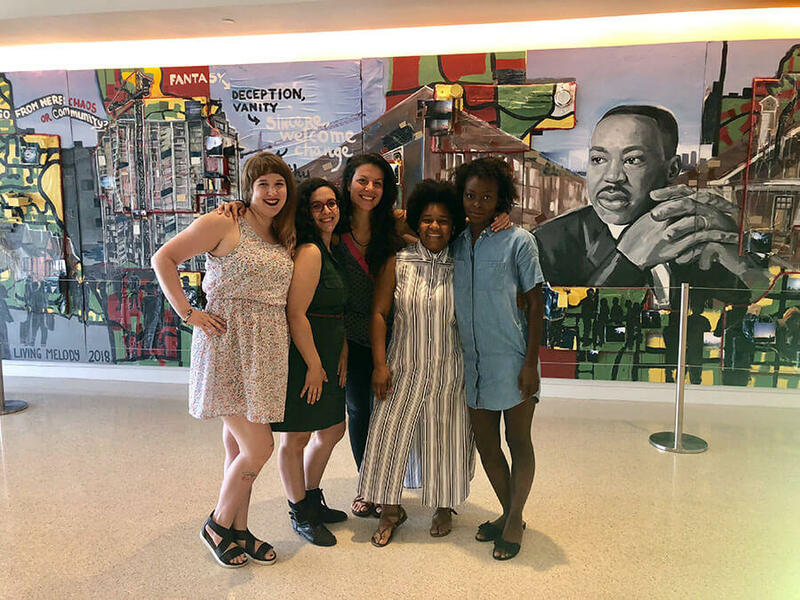 One of our amazing employees Angela Bortone has created a multimedia mural for the National Center for Civil and Human Rights. 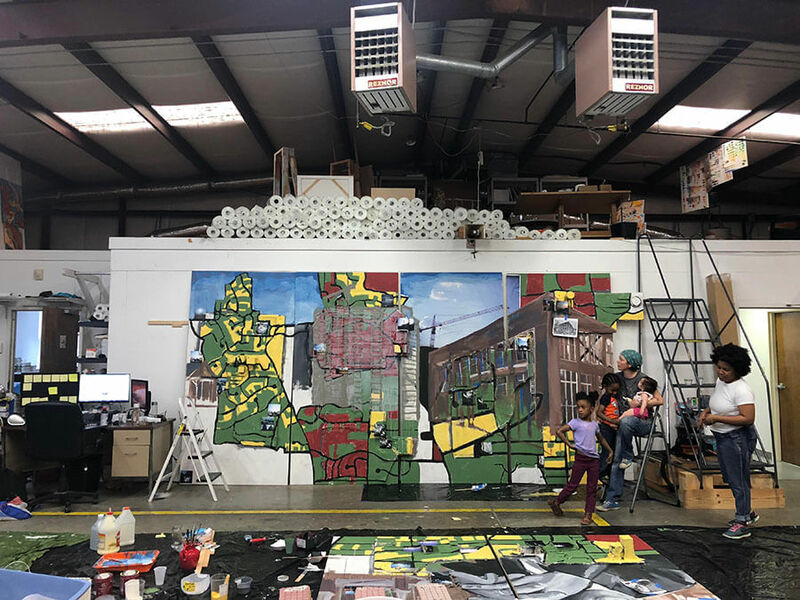 Angela did this work as part of the Living Melody Art Collective, who are five female artists working in Atlanta to raise awareness of social issues through performance and visual art. 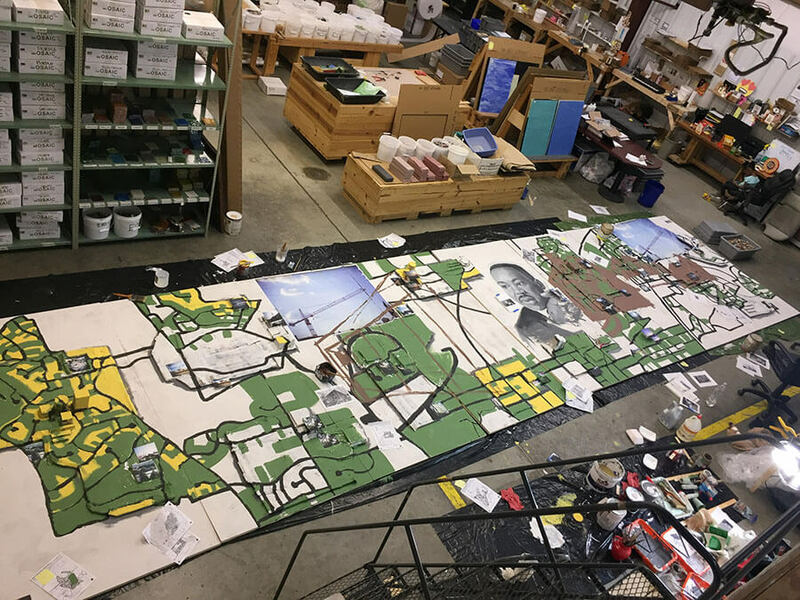 I am proud to say that the work of creating the mural was done at the Mosaic Art Supply warehouse. Live the Legacy II Mural work in progress 3. 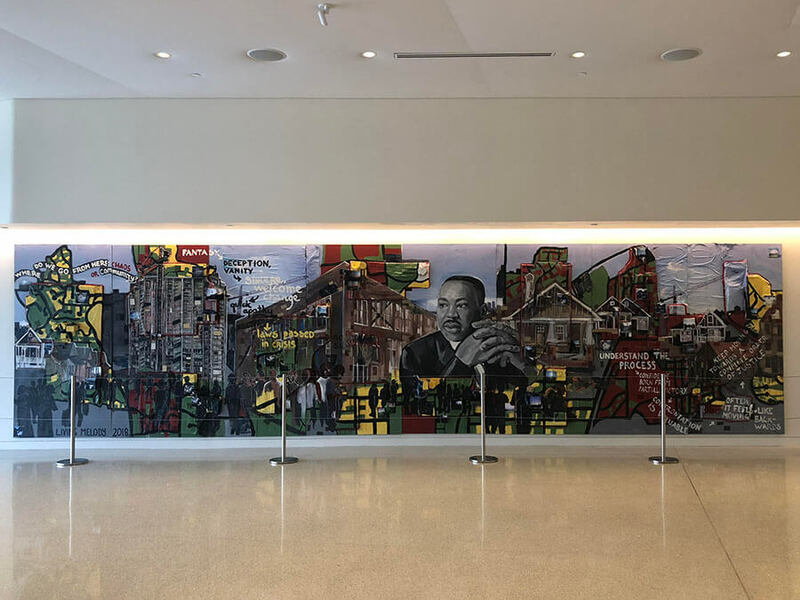 The mural is part of the Live The Legacy II exhibit, which focuses on Dr. Martin Luther King’s legacy and how Atlanta’s explosive growth has complicated problems with housing inequality and homelessness. 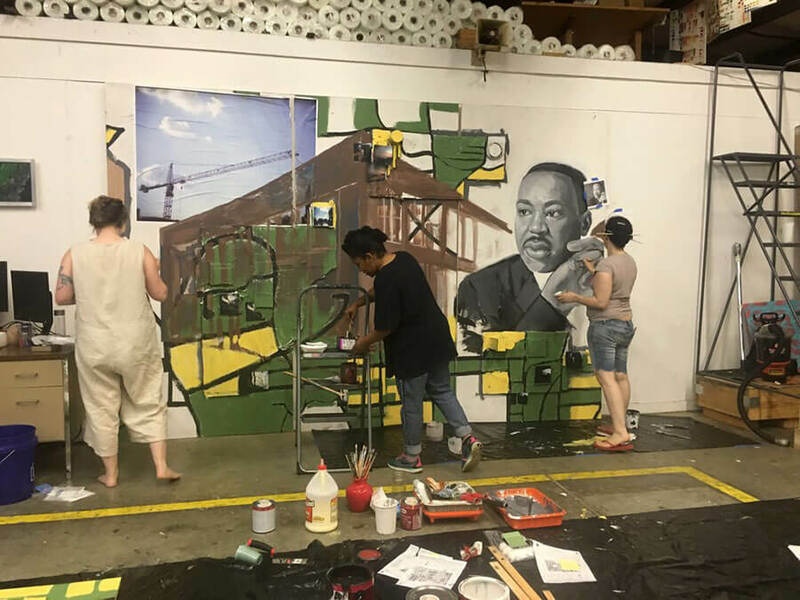 The colors and style of painting used in the mural are reminiscent of African-American folk art, and I think it is spot on with aesthetics that match the message. 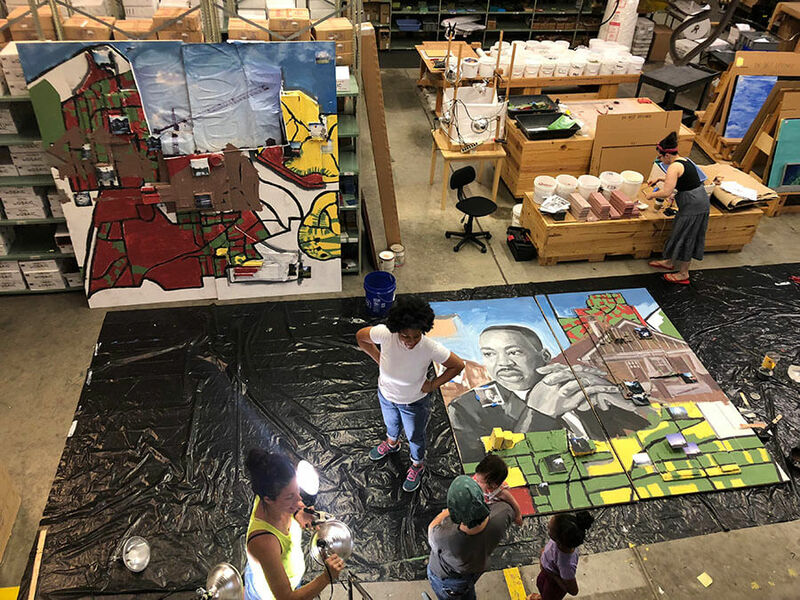 The mural depicts old historic neighborhoods with construction cranes and high-rise condominiums towering in the background, which is an all-too-common sight in Atlanta, including in Dr. King’s own neighborhood Cabbage Town. 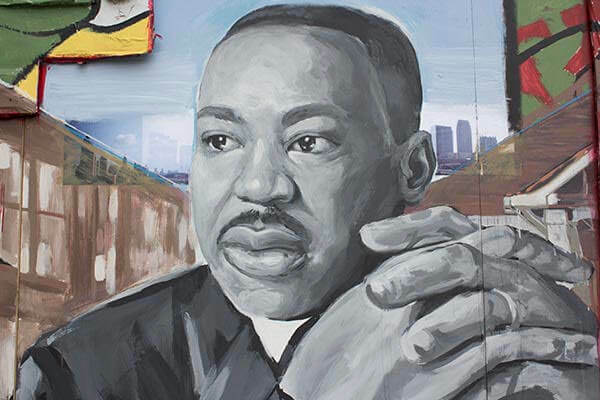 For this reason, I think it is particularly apt that Angela’s portrait of Dr. King looks down on it all and that there are relevant messages painted into the mural like political graffiti. The mural couldn’t possibly be any more relevant. Live the Legacy II Mural work in progress 2. 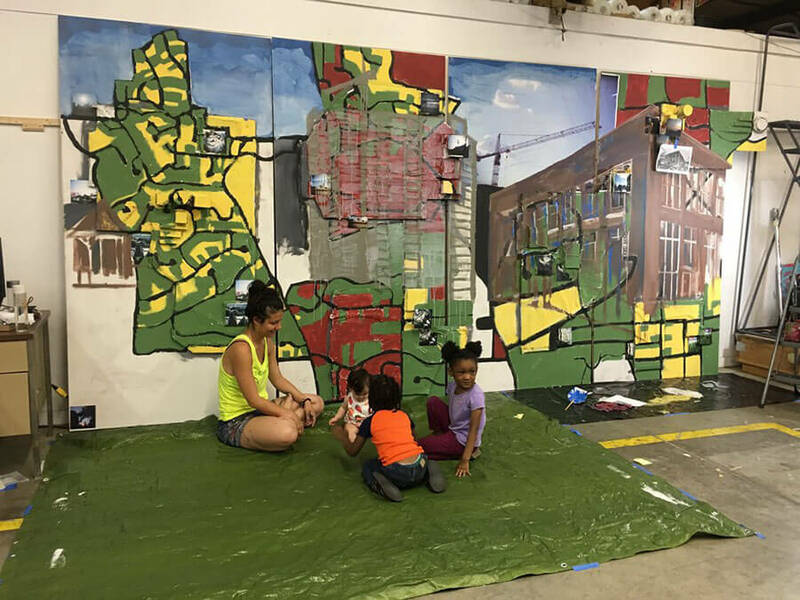 Historically-black neighborhoods throughout the city are being priced out of existence as property values skyrocket due to high-end gentrification and corporate development. 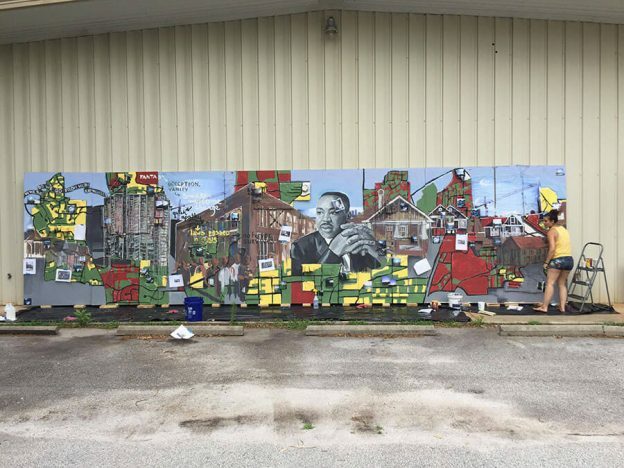 These neighborhoods were literally the birthplace of the African-American middle class and are still home to people who have a sense of a particular place and a sense of community. And yet these neighborhoods are being plowed under and replaced by sterile corporate opulence more and more. Live the Legacy II Mural work in progress. As someone who has lived in Atlanta off and on since 1994, I can personally attest to how real this problem is and how it is affecting poor and working-class people from all backgrounds. Even our warehouse out in Scottdale may have to relocate due to exploding property values, and I can’t imagine what a retired African-American construction worker on fixed income is going through trying to keep her house in one of the closer-in Atlanta neighborhoods. Live the Legacy II Mural work in progress 4. Vote this November. Make sure your friends and relatives are registered and that they vote too. It matters. Live the Legacy II Mural installed at the National Center for Civil and Human Rights. The Live The Legacy II exhibit runs through September 2nd at the National Center for Civil and Human Rights. Live the Legacy II Mural work in progress with the kids. 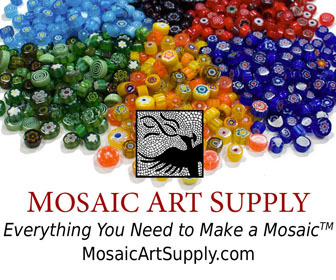 Who do you contact to do a public mosaic? The municipality’s website is the first place to look for the appropriate contact. A few emails should get you to the right person.